I wish to share my happiness with you! I have met my husband this day five years ago and our love story has begun! 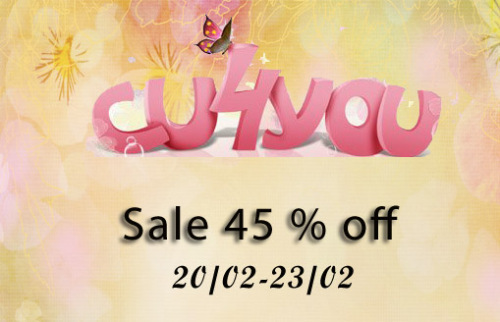 I have greater sale in honour of our 5 anniversary! All my products are 50% off until Saturday, November 8. 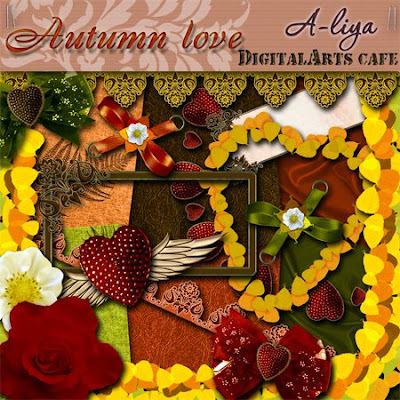 Now you can see that one of them is created by my kit "Autumn love"
In November at the store you will get a free page kit Holiday Traditions with your order over $10 only! But there are more Holiday Traditions papers and elements to collect! Поздравляю с Годовщиной, желаю огромного семейного счастья, любви и радости !!! Your bracket pages are gorgeous! Thank you for sharing. 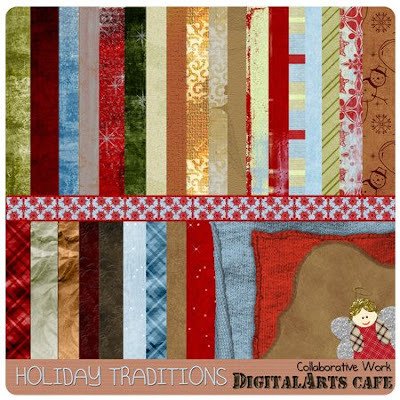 I just got "Holiday Traditions" kit with my latest purchase at DAC and it is a beautiful kit!! Looking forward to doing some of my winter/Christmas photos with this collection. Love the bear and the rich colors. Thank you for making my pics look so good.